Shortly after high school, I started gaining weight. 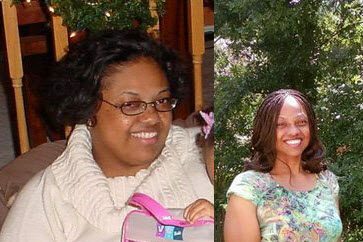 Four years, a marriage, and a divorce later, I found myself over 200 pounds. I managed to lose 30 of it doing Tae-Bo, but ended up gaining 10 of it back, then found out I was pregnant right after my 23rd birthday. 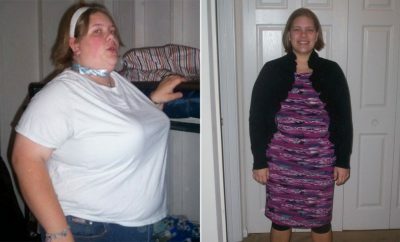 I gained 40 pounds during my pregnancy, and only lost about 10 of it after birth due to depression. 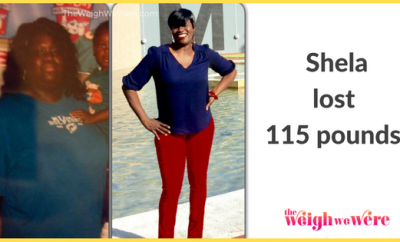 By the time my son was 4, I’d eaten my stress all the way to 235.4 pounds. 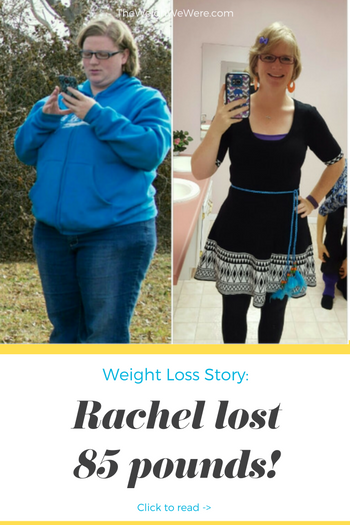 Outside of refusing to look in a mirror longer than necessary, I wasn’t overly concerned about my weight. At least not until I realised I couldn’t keep up with my son. Honestly, I could barely get off the couch for five minutes before I was utterly exhausted. It affected every aspect of my life. I was cranky all the time, hated my job, hated my life. Didn’t want to go home, but didn’t want to stay at work either. I was a mess! I remember waking up one morning, and having to tell my son I couldn’t take him to the park again because I was too exhausted. Exhausted the minute I woke up. I was tired of missing so much of his childhood because I was too tired. I gave up soda first. Then I worked on portion control and tracking my calorie intake. For awhile, I felt like I was starving every day, but I still pushed forward. I started drinking water every time I felt hungry rather than stuffing my face. I also increased my exercise, which was practically non-existent, so it wasn’t hard to increase. The better I felt, the more I increased my exercise. I saw results within just a few weeks. At first it was my energy levels, then brain clarity and increased stamina. 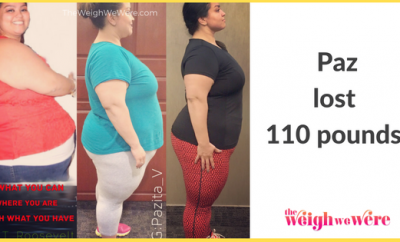 About a month in, and I could see – and feel – physical changes in my body. My biggest struggle was a lack of self motivation. I ended up buying a FitBit,starting a support group on Facebook, and starting a blog all to keep myself accountable and on track. Frequently! I took pictures nearly every week to show my progress. I posted them on social media. People knew what was going on, and there was no taking those images back. They were frequent reminders of where I was and how far I still had to go. And the adorable smiling face that woke me up every morning was incredible encouragement. My son has always been my reason for doing. I hit one that lasted a month. Believe it or not, I added one junky treat a week to my diet, as well as weight lifting. Apparently, I was eating too clean! I averaged about 2 pounds a week from March 31st, 2015 to October 1st, 2015. After that, I dropped to about a pound a week. I just hit my goal weight of 150 pounds on May 13th, 2016. 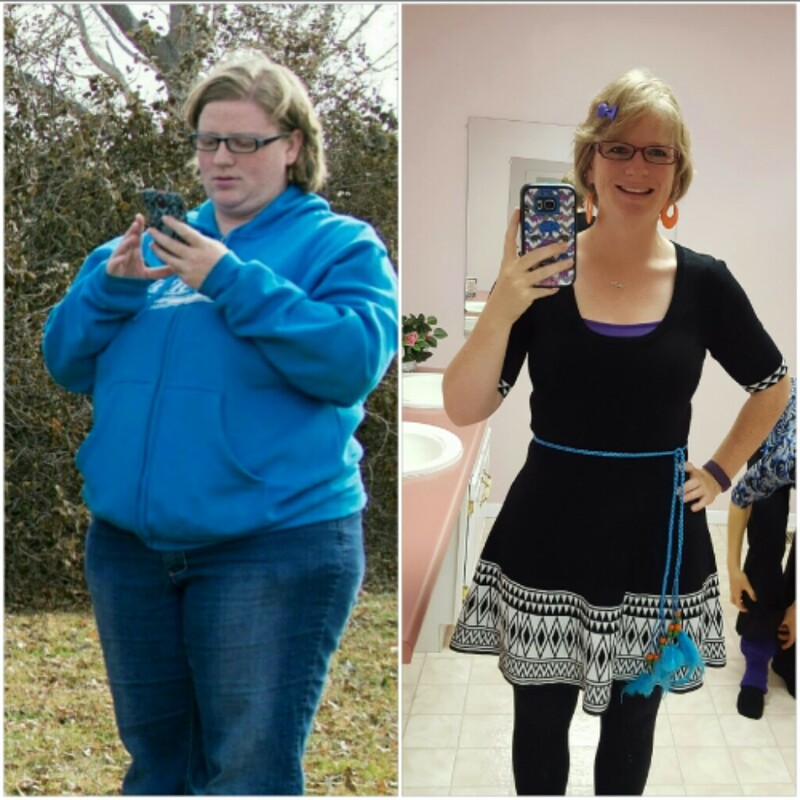 I went from a pant size 22 to a size 8. Never did I ever expect to fit into a size 8 again. I still eat what I want, but portions are smaller, there’s more veggies and fresh fruits, and less greasy, fried, carb packed foods. I used to drink 72+ ounces of soda a DAY as well as eat fast food Monday through Friday. I haven’t had a soda in over a year, and just the thought of fast food makes my stomach turn. Physical activity was non-existent before. I have a desk job, so there was no need. Now, I average 60 minutes if exercise a day, going outside and walking the parking lot every hour, as well as weight lifting Monday, Wednesday, and Friday. More green veggies. LOTS of them. Avoid breads, pasta, and potatoes. Let yourself have a treat every so often so you don’t burn yourself out! Do not DIET. Change your daily diet by changing your lifestyle. “Dieting” suggests a temporary change. Make it a lifetime change. Well DANG girl!! I LOVE the retro earrings and the little dress!! You rock!! Just beginning my weight loss journey. 3 kids, and packed it on!! I have 5o lbs to lose. But you are an inspiration!! Great job, you are beautiful!! So far, I am down 12 lbs in 4 weeks. I read stories regularly to keep me motivated, and your story helped!! I eat only ‘clean’ foods now, no snacking. Took up skydiving (yes, and I love it!!) Not that it burns calories, but it is something for me (for a change), and hiking with my girls and my husband of 26 years.I homeschool my kids. Easy to fall in a rut!! Keep up the good work… Thanks!! for the inspiration and sharing your story! You are gorgeous!!! Congratulations on all of your hard work!! !